Iheanyi started out majoring in Computer Engineering, but switched to Computer Science after he figured out hardware just wasn't for him. He now lives and works in Brooklyn and spends most of his time coding (though he always brings his design skills to the table). Iheanyi's design comes from a dual degree program at Notre Dame, the college where he graduated. He noticed a lot of subpar interfaces coming from pure programmers, and he was frustrated with that, so he took his school's opportunity to learn design and apply it to his work. Even if he isn't a designer, he uses his skills daily to communicate with designers and make whatever he works on that much better. Iheanyi started using Ember back during college. He was frustrated by his school's class search interface, and he set out to improve it. Ember and Rails were like a match made in heaven for him, Ember having been authored by ex-Rails core team member, Yehuda Katz. Joel discusses with Iheanyi what he's currently using in his work. They get into GO, and how Iheanyi has enjoyed working with a statically typed language when doing back-end work. Not having to worry about full test coverage when refactoring has been great! Lastly, they talk about the various side projects Iheanyi has going. Such as Interface Lovers, a blog where top designers are interviewed and share their work music playlists. Also, Seeker, a job-board app that allows you to connect your strip account to it and have companies submit jobs. Joel Hooks: Hey, Iheanyi, What's up? Iheanyi Ekechukwu: Hey, Joel. How's it going? Long time no talk. Joel Hooks: Yeah, it has been a while. So, we do these podcasts 'cause I want to catch up with people to see what they're up to. And part of that's researching backgrounds right, like we go through it. Usually we're just hanging out or whatever, I'm not researching you, but when you have you on podcast we do that and one thing I notice that's consistent through your life as this ... You work a lot, man, you work hard and you always go the extra mile and you always got something cooking and something extra cooking. You went to Notre Dame, and got two degrees, not a major and a minor but you did graphic design and computer science, which to me was like, "Wow, that's a lot of work." How was that experience to go back to your education, doing two degrees at the same time? Joel Hooks: Yeah, and wasn't like you were just doing the academics either. You had a whole slew of extra curricular activities and what not going on. Iheanyi Ekechukwu: Yeah, yeah. Time management is the name of the game, though. That's the thing, there's not enough hours in a day, but if you have a routine and you stick to it, it makes it really manageable and rather than procrastinating, it was a matter of getting ahead and staying ahead of your work load was ... Really made it way more manageable and less stressful. Joel Hooks: Probably helped you for keeping the hustle going after college too, I'd have to imagine. Iheanyi Ekechukwu: Yeah, it's a lot of chaos. Especially living in New York City, I have yet to fall into a routine here. I've been living here for two years. Joel Hooks: It's very distracting up there. Iheanyi Ekechukwu: Yeah. Yeah. Lots of going on. Can't even decide what to do because there's to many things to chose from. Joel Hooks: Yeah, it's intense. It's kind of cool. I always wished ... Nobody ever told me about New York City when I was a youngster, like in the movies and stuff. But then I was like, "Yeah ... " Later I was like, "Man, I totally live here," but we got five kids so New York isn't very real. Iheanyi Ekechukwu: Yeah, I feel that. Yeah, I didn't even know about New York City like that either. Whenever I was working at my first job, I visited New York on business because we had headquarters here and just landing in the airport and taking in the energy I was like, "Wow, I have to live here at some point in my life." And might as well get it out of the way whenever you're in your 20s and before you get married and have kids. So, here I am. Joel Hooks: Yeah, the dual degrees thing, that sounds interesting to me and almost like it should be the default because I think one area of focus doesn't really give people, all the time, a very well rounded education, in terms of finding a job and stuff. Iheanyi Ekechukwu: Yep. Add a button for every single feature. Joel Hooks: Every property ever is just sitting on the page in a kind of unstyled mess. Iheanyi Ekechukwu: Yeah, and it's interesting that you mention the programmer you are, because I'm sure you've noticed, a common conversation on Twitter is like, "Oh, should designers code?" But, I always wanna say the question we should be asking more is, shouldn't developers design. We're designing for these platforms and everything or we're developing these mobile applications, these web applications with a very engaging user experience being at the forefront of it, and I think it would help developers more to study up or at least read up more on design concepts, especially when it comes to basic fundamentals like inaudible 00:05:31 maybe, grids, typography, et cetera. Iheanyi Ekechukwu: Exactly. Yeah, that's exactly where I think it's been most beneficial at my career. I've never worked professional as a designer, I moved ... I gravitated towards the software engineering side of things, just because I love programming and I love building things. But where it really helped, like where I was working as a front end engineer or just doing front end development, I'd be able to talk with designers and like you said, articulate why I think a certain UX pattern or something visual is not successful or how it could be stronger in a well mannered way and speak their language to offer feedback and suggestions and how we can tweak it. Or just tweak it and communicate why I made those changes and they'd be like, "Oh, yeah, that makes sense to me." So, it's been priceless in that regard. Joel Hooks: Yeah. So, I noticed a lot of people that have that kind of background, and there's quite a few in the industry, especially around front end development. People that do front end development, a lot of times there is going to be more crossover. Somebody that's strictly a database or strictly works on servers, they don't necessarily have to speak that language but I think crossing over is great for anybody. Joel Hooks: But you primarily did front end development for the first part of your career. How long have you been out of school, anyway. How long has that been? Iheanyi Ekechukwu: Yeah, fourth year in December. Joel Hooks: And then you went to ... Did you go to IBM right after school or was there a gap? Iheanyi Ekechukwu: Yep. Yeah, yeah. I chilled at home for three months before moving in Texas and moved to Texas and worked at IBM for a year before peacing out. Joel Hooks: What were you working on there? Iheanyi Ekechukwu: So I was in Watson, I worked on our Chef Watson application, doing some front end work there. A little bit of backend work there as well and then there was a second project that I worked on that I don't know if it ever launched, it was a news platform powered by Watson and that's where, actually .... Funny enough, that was ... That project was my first time building something ... Something substantial at least, with React, and that's where I got really into React development or whenever I first used it. Joel Hooks: When did you get into Ember? Because for a long time you were a pretty big advocate of using Ember. Iheanyi Ekechukwu: Oh, I got into Ember in college, actually. Iheanyi Ekechukwu: Yeah. So I took an interaction design class in college in the School of Design and ii had used Ember for ... I actually learned Rails and Ember for my interaction design course because I was ... We had a project that was redesign a user interface of your choice that you think is lacking or subpar. And the one UI that always constantly, constantly, constantly frustrated me, from school, was the class registration or the class search interface. So, I built this three column UI that I could've probably done in vanilla Rails but it would have been disgusting handling all of that state with jQuery, so. React wasn't really poppin then. Backbone was a thing but I didn't feel like building my own framework or building all the pieces together to build it. Actually, I'd built the first prototype of it with VJS, it was like 0.10 back then, didn't have a router, didn't have UX, didn't have UCLI, it was really bare bones and I had done a manual routing system for it, and it was nice but I switched over to Ember because I found it by just doing research and I was building the backend in rails and it was just a match made in heaven.inaudible 00:09:47 used to be a core contributor to Rails and helped ... Helps maintain and build on top of Ember. So I did an Ember tutorial, and I rewrote the entire project using Ember and I was just able to iterate really quickly on it because Ember was just pretty straight forward to me with using it. Joel Hooks: Yeah, I mean it seems like a good kit and it's been around for a long time, it's fully stable but it has this tiny market share and I always try to figure out why. Why does Ember not get more recognition or playtime than these other frameworks. What do you think? Iheanyi Ekechukwu: Yeah, that's a good question. I've thought about it more recently because even now a days, we use it even at my current company, DigitalOcean, but I think one of the few things with Ember is ... Or why it doesn't have more market share, is a couple reasons, or at least back in the day if you had asked me the same question, I would've said, probably, you have Google and you have Facebook for Angular and React, respectively, and their backing but I don't even know if that's the case anymore because you have VJS which, even though Evan, like you, the creator, was at Google's creative lab 5, it doesn't have any major sponsor behind it. But I think Ember didn't pick up as much market share or popularity primarily because it's a little bit hefty. Well not hefty in a sense, but rather it's two things. It's really opinionated and some people don't like opinionation. I personally do because ... Well, most of the time I personally like opinionation, especially when collaborating with other people because it takes away the amount of thinking you have to do on structuring things but I think that can also be a turn off for some people. And additionally, not everybody wants to build something that needs a router with it. But I do ... Or that ships with a router, perhaps. React was very lean and very straightforward but I do think that there are companies out there that use Ember and the ones that do use it are really productive with it. LinkedIn has thrown their entire weight behind it. I'm pretty sure Square uses it on their web platform. Who else, let's see. Square, Twitch used to be an Ember shop but I think they rewrote their front end in React. We were pretty good with inaudible 00:12:11 and it's just been helpful. And I think that opinionation really comes into play whenever your collaborating with people because you have a set way or organizing your project, whereas with React you can just do whatever you want or React, Angular, View, structure is up to the user, right. But Ember is kind of ... There's like one right way ... Not one right way but there's a very opinionated way of doing these things. Joel Hooks: We take a lot of the opinions out of it so we can quit talking about this stuff and just do it the Rails way or the Ember way. Iheanyi Ekechukwu: Exactly. Convention of a configuration. Joel Hooks: Yeah, I kinda go back to the idea of major label versus indie where, you know, the higher A-team of a dozen inaudible 00:12:57 is not something you can do if you don't have major corporate backing and that's been apparent since the start of it. crosstalk 00:13:05 and I really think people should check it out and add it to their comparison list to find out what's right for you, right. Maybe those opinions, after you spend a little bit of time on them, maybe they make more sense and they actually work out. Iheanyi Ekechukwu: Yeah, exactly. And I do know that, for the most part, I think that a lot of people that do use Ember, a lot of these companies or even dev shops that do build out products using Ember, a lot of them ... They may have some critiques about the framework but a lot of them do enjoy using the framework itself and having great things to say about it. I do as well. I think it's a great framework to use and even ... They have such a focus on making the whole developer experience straight forward and friendly and even upgrading an old Ember app. I had a client where I upgraded their Ember app from ... It was something really old, like 1.9, to 2.5 and even upgrading it was really painless. It was impressive how stable it was and how little friction there was to get it up to the latest and greatest version. I think we'll see the same thing from Ember two to three, but then I think we all remember Angular, going from Angular one to Angular two, and the whole fiasco that went around with that. But I think that the Ember team really wants to have that stability without stagnation, as I think the saying goes, with their framework. Joel Hooks: I mean it's been my experience with Rails, too. That crossover, it's so evident, right. inaudible 00:14:34 was involved and he was involved with both and ... Because you know, I still use gems that haven't been updated in a dozen years, for rails. And having that stability, it's ... Yeah, you're not solving as many puzzles, which is fun. If you're gonna do a React app, you're really solving puzzles and that can be fun. But sometimes you just wanna get in there and make something. That's how egghead was built. I took a ... I did a Rails tutorial and the next week I had a subscription site up and running and was taking subscriptions. And that is awesome. Iheanyi Ekechukwu: Yeah, that's so dope, yeah. I used Vic Ramon's Ember tutorial and I was like ... It was actually Ember plus Rails, so it was perfect. And I just did that in an afternoon, went through it, I'm like, "Wow, this really makes sense." And I just rewrote my interaction design project using it in two hours. And I was like, "Wow, this framework's actually really dope." And I used it for another data science ... Er, my bad, data mining final project with Django and just seeing how it played well together with all of these other backend technologies was really cool as well. Joel Hooks: Yeah, yeah, that's cool. So you kind of shifted though. You switched jobs, you're in Austin, you moved to New York and started work at DigitalOcean and they kinda shifted your focus a little bit. Iheanyi Ekechukwu: Yeah, yeah. It was weird. I was ... I spent my first ten months, eight to ten months at DO doing front end work. But now, for the last almost year and a half now, I guess it is, I've been doing backend work, actually. Joel Hooks: Yeah. What are you using? Iheanyi Ekechukwu: Shoot. On a given day, let's see, I write a lot in Go. Pretty much primarily Go. There's some Rail services that we have at DO like ... For our cloud API and our API gateway but I mostly just write Go on a day to day basis. Joel Hooks: Did they start as a Rails app? Iheanyi Ekechukwu: I think API and cloud start off as a Rails app from the get go. Actually, I think at the beginning or the inception the core experience was a Rails app but we moved a few years ago, or at least before I joined, we started introducing Go and building out new services in Go and rewriting some older services in Go as well. Joel Hooks: Yeah, you get spoiled, right? Iheanyi Ekechukwu: Yeah, for real. Iheanyi Ekechukwu: Yeah, and I guess that's the beauty of ... Typescript is getting there, but even then it's not all the way there, but then you do have these other languages that are popping up, like Elm's gaining traction, right, in some niche regard but it's just a nice thing to have. Types are a really nice sanity check. Joel Hooks: Yeah, I agree with that. Yeah, so, Go is on my list, I haven't ever touched it, and could you describe what's it's used ... What's the use case in general for Go, why would somebody use it to begin with? Iheanyi Ekechukwu: I think go has a lot of benefits right. So I can talk about it from ... I can talk about it from deep language internals or language inaudible 00:19:30 perspective and then from a broader engineering organization or just even software engineering. Joel Hooks: To me, what type of project does it make sense where you go, "Oh, we should be using Go for this for sure, it's the one we should be using." It's kind of a systems programing language right, close to the inaudible 00:19:47. Iheanyi Ekechukwu: Yeah. Yeah, yeah. But we use it for building out all of our services that our API gateways or most of the services that the API gateway talks to. But it really is good for building things like these small, self contained services, it's a lot of nice features within it. And using an RPC framework like GRPC with Go, for example, is really great and just building up these small self contain services has been just that simple while using Go, whereas I don't think that same sport of simplicity would be there or readily apparent with something like Node JS, for example. Joel Hooks: Yeah, so you're building out like microservices, for a lack of a better word, right? Joel Hooks: Building small contained services using Go. What's GRPC, I don't think I've heard that. I know it's Remote Procedure Call but what's GRPC? Iheanyi Ekechukwu: Exactly. It generates ... You implement the server and it also generates a client library that you can then import in other programs like if you had a server for, I don't know, in the context of egghead, like the video streaming service or something, and you had a service like that, it had it's own database. Cool. You can have an RPC method that's like, "Oh, get course video." And you basically just say get course videos for user, you basically define a request that takes it as an input the user ID, returns a list of videos that may have an URL and just implement that in the server, the server will just call the database, serialize that into the proto buff and return it. But then ... And from your Rails app, your Rails app could then consume that GRPC Ruby client and call that method that that method that could be in the Go server ... My bad, talking to a Go server, right. And return that and call it, get the response back, and return it to your front end or render it, whatever you need to do with it. So it's kind of like self contained int hat way and you can scale them up independently based on what's getting traffic. Joel Hooks: Yeah, that sounds pretty nice. Joel Hooks: So, getting off the programming languages for a second. I wanna talk about your projects because like I said, there's just three I'd write, where inaudible 00:22:57 is always doing something, you always got something going on, it's never just one thing and you got some side projects that you work on. And one of them I saw was interfacelovers.com and can you tell us what interfacelovers.com is. Iheanyi Ekechukwu: Yeah. Interface lovers. So ii built this with two people, I built this with two people last year. It's an online ... I built it with Timothy Achumba, he's a designer at Facebook based out of London and William Channer, who runs Panda Studio. You might know him from the Panda Chrome Extension and Panda jobs, shouts out to William and Tim, I see you. It's an online digital magazine where we interview various product designers and creatives in the industry or ... Primarily in the tech industry and yeah, it's a fun project. Will approached me and Tim saying, "Yo, let's build this." And I was like, "Heck yeah, let's do it." Iheanyi Ekechukwu: It was just a blast to build. Joel Hooks: Looks like you got a big stack too. You've got more than a couple interviews and I read some of them and they're pretty interesting. I love to see how people work and what they think and they're job and describing that stuff is pretty great. Iheanyi Ekechukwu: Timothy is an amazing designer, and I had ... I was just honored to work with him and even collaborating with Will, me and him have always been trying to collaborate for the last two years and finally made it happen. But Tim's just amazing and it was just an amazing experience building it and I was writing PHP, and I haven't written PHP since undergrad for research but it wasn't that bad, it was fun. Using Kirby was a really dope content management system. Joel Hooks: Yeah, that's good. Iheanyi Ekechukwu: It was on point. Joel Hooks: Yeah, PHP has made some strides and I always think it gets a little ragged on like inaudible 00:24:33 and there's other tools and the language itself has evolved over the years to not just be a WordPress plug in language. Iheanyi Ekechukwu: Yep. Yep. You've got Hack or HHVM and all that stuff. I think we can thank Facebook in a sense as well for kind of pushing it forward because they kind of have to because their entire infrastructure pretty much depends on it. Joel Hooks: Yep. So, one of the cool thing si saw on interface lovers was this idea that the people that get interviewed or designers in general create SoundCloud mixes or ... No, they were on Spotify. Spotify mixes. Iheanyi Ekechukwu: Yeah, we have both actually, yep. Joel Hooks: Yeah, so where is the idea of that coming from? Iheanyi Ekechukwu: I think that was Will's idea, actually. So Will ... This entire project was conceived by Will and it used to be a Medium blog but then he wanted to give it it's own dedicated site because it's just ... He wants to add more features onto it that Medium didn't support and so these designer mixes were pretty cool because we know we're all ... Whenever we're all working ... Or not all of us, some people like to work in silence, but generally people like to listen to music while they're working, especially creatives. I know me, programming, I like listening to instrumentals. So having that playlist, it'd be cool to ask them, "Oh, what are you bumping or what are you playing while you're designing," you know. And I like that idea as well. It was a nice touch to it and it seems like it was pretty well received, people like listening to it on Spotify. Joel Hooks: Yeah, I was like, I kinda wanna steal that and have our instructors make mixes. They were down for it. I just think it's neat, I love listening to what somebody else is interested in, discovering new music and that's just such a cool way to do it. I respect this persons work and now I get to also see what they like to listen to, and it's pretty cool. Iheanyi Ekechukwu: Yeah and music tells you a lot about, not somebody's personality but just another ... It's kind of a cool thing to know about somebody, right. You're learning more about a person through their music taste. Joel Hooks: Yeah, it's only my indicator of whether we're probably going to be friends or not, I'll admit that. Iheanyi Ekechukwu: Yeah, I mean hey, makes sense though. A lot of ... Me and my friends have a lot of similar music tastes, it is what it is. Iheanyi Ekechukwu: Sorry. I was gonna say, you cant be driving around with your friends and passing by the aux cord and you hate what they're playing, right. Joel Hooks: Yeah, right, some Katy Perry. No offense to Katy Perry fans, that's your business but you know. Iheanyi Ekechukwu: Yeah. Aint my cup of tea. Joel Hooks: So you're also ... So Seeker is what I've been talking to lately, which you wanna explain what that is? Iheanyi Ekechukwu: Yeah, it's funny because I haven't really gotten out into the limelight with this yet but. Joel Hooks: Gotta launch man, gotta get it out there. Iheanyi Ekechukwu: I know, I know. Finishing touches. Joel Hooks: It'll be ready once it's ready, right. So what are you using to build Seeker? Iheanyi Ekechukwu: It's actually interesting, right. The stack I'm using for this is View JS in the front end, with Django in the backend, with inaudible 00:28:45 Database. Joel Hooks: How's that been like, using View. Iheanyi Ekechukwu: You know, like I mentioned earlier, I used View way, way, way, way, way back in the day. It's come a long way but I like how it has a CLI for getting up and started easily. View X, to me, is way simpler than Redux, it's a less of a ... Less stressful ... Not stressful, cognitively stressful, at least and this was a little bit simpler to use and View router has been pretty on point as well. And you know what I like about it is these are all out of the box experiences that ship with View itself, so it's nice and officially supported or maintained by Evan and everybody else. Joel Hooks: Yeah, Evan gets to work on it full-time. I don't know if he's the only full-time developer on the project but he's just been amazing as a shepherd for the project. Iheanyi Ekechukwu: It's just wild. Joel Hooks: Yeah, he's continuously just impressive and I don't know, I haven't checked it out yet, I kinda took a hiatus from learning front end frameworks, everybody's like, "Oh, there's a new framework, you've got to learn this framework," and I'm like, "I'm gonna take a break, I'm just gonna take a year off and not learn a new framework for awhile." But View keeps calling to me, I'm like ... Because people love it, it has such a passionate following. Joel Hooks: Yeah. And View impresses me also and when we talk about inaudible 00:31:46 the major label verus indie label, it's totally indie. It doesn't have a massive ... It doesn't have an ad network or a giant social network behind it, it's just been Evan and this constant grass roots marketing and it's just blown up. I root for View all the other frameworks just in terms of getting people to check it out and crosstalk 00:32:11 for their next project. Iheanyi Ekechukwu: Back in 2014 whenever I first used it, it was interesting the different type of inaudible 00:32:18 being used for it. It wasn't necessarily being used for there single page applications like Backbone, Angular and Ember were, but rather for these highly interactive websites that just had a very interactive experience. It with just one core screen and maybe it's animating a lot of things or drawing a lot of things but it's evolved to being able to build out these single page applications like in a very sane and user friendly manner and I vibe with that a lot, it's really awesome. Joel Hooks: Yeah, so you've used Django and Rails and I'm just curious personally, because I've used both too, but why would you go Django over Rails, what's the advantage that you get there? Python? Iheanyi Ekechukwu: So ... I like Python a lot. Python was my first real scripting language I learned, so it holds a special place in my heart, and after doing C and C++ for three semesters ... My bad, two semesters of college it was kind of a God send for building up these quick and dirty scripts. But I think I chose Django because actually in working on Seeker, I was planning on working on it with a buddy of mine and he's a huge Python, er, fan of Python, Django and he ... It's actually ... My buddy Justin, he helps ... He built out Button Down email, which is this news letter site. High key recommend checking it out, it's really a really awesome experience. So we were gonna work on Seeker together, but then Button Down kind of blew up so he's been putting a lot of his energy into that but we just ... I ended up just keeping Django and View because I had already started building it, so why not. And me and him do code reviews for each other and all that so it's been cool just to be able to bounce ideas off one another and just be able to look at each others code and have that type of person in my camp. Joel Hooks: Yeah, that makes a lot of sense. When we started Egghead that was the choice for me too. I built stuff with Django, I read a few Rails tutorials, which one should I use and then everybody I know was building stuff with Rails, like they're marketing sites or their apps or whatever, so. Somebody told me, "Just choose Django or just choose Rails and build it and quit waffling back and forth about the stack." Which is a pretty good suggestion, really. Iheanyi Ekechukwu: Yeah. I also liked how much Django had out of the box. With Rails, essentially the same, was like, "Oh, there's a gem for that." But having ... Being able to just install Django and the only thing I really have to install is Django Rest Framework for the API and then it comes with a way of inaudible 00:34:46 built in, it comes with an admin panel build in. Joel Hooks: The admin panel is sweet. Iheanyi Ekechukwu: It's so on point, yeah. It's amazing. And even ... Also comes built with some other goodies like ... Even comes ... It ships with a path work flow for resetting a users password. All of these small features were really nice and help cut down on development time of a whole bunch of other things as well. I'm actually glad I learned it, I've never worked with it professional but it's still been fun building out Seeker with it. Joel Hooks: Yeah, that's cool. Always fun to explore things deeper too. Joel Hooks: So you got anything else going on? Iheanyi Ekechukwu: What else do I have going on. Let me think. Not really. There's one ... I'm working on a small project with some friends called Bombard, it's like a load testing service app but that got put on the back burner as some things picked up on everybody else's plate, so that's on hiatus but also gave me time to just step back and focus on Seeker, and getting final stages of it, like just getting it prepared and everything. Anything else I got going on ... No, not really. Just mostly that. Oh, and teaching on every Wednesday. Joel Hooks: Teaching ... Where you teaching at? 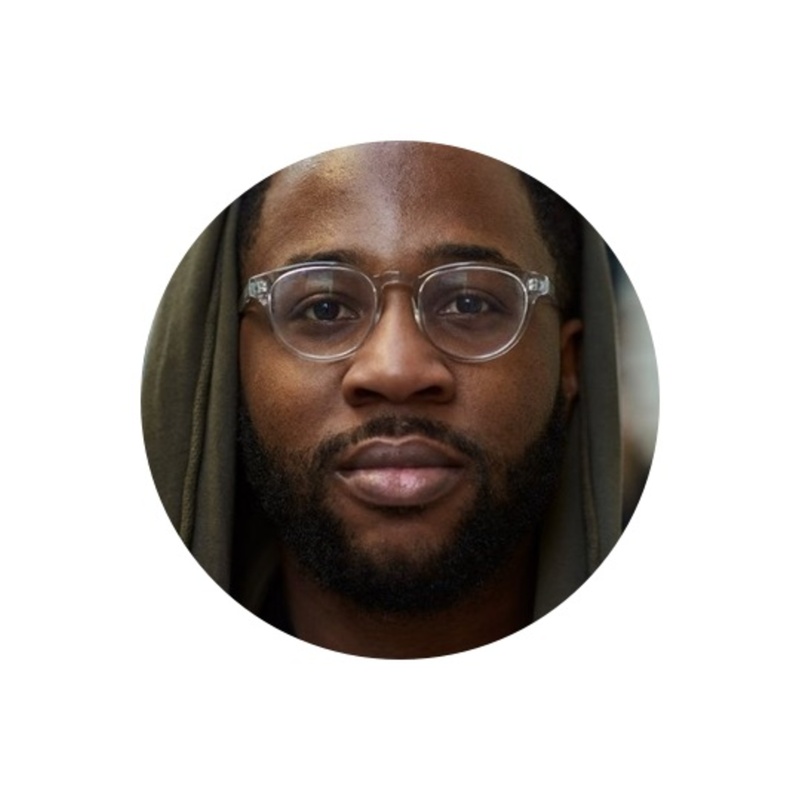 Iheanyi Ekechukwu: I teach at a school of visual arts, the School of Visual Arts in Manhattan, I teach interaction design, or I co-teach, actually, with my buddy Greg who runs a design studio or consultancy called Partner and Partners in Manhattan. Joel Hooks: Yeah, teaching's great because it's the best way to solidify your skills and figure out your fundamentals and base. Iheanyi Ekechukwu: Yeah, and it's so rewarding too, seeing growth. Seeing from like, "Oh, I remember when you were at point A and you've come all the way to point B." And just seeing the progression over time and improvement in their skills is really rewarding to me as well.